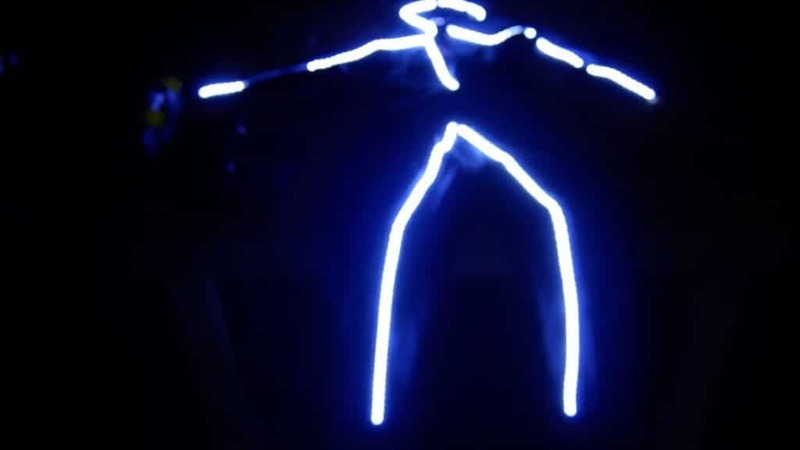 In this DIY tutorial, I show you how to make a DIY LED Light Costume. This costume was an easy DIY project and my son received many compliments. Keep reading to find out how to make this DIY LED light costume for any occasion. The Hot Glue will ruin the clothes. 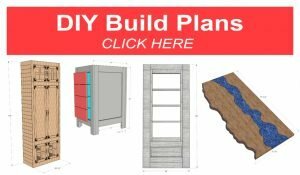 DIY Plans for this project are available for download. Be sure to download yours today! First, to find a Halloween costume which sparks my son’s interest is challenging. 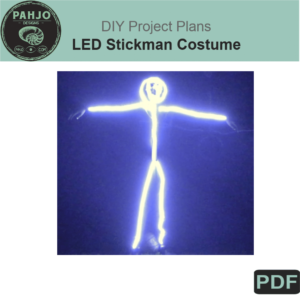 To be honest, I sighed a bit when my wife and our son approached me about this DIY LED Light costume. However, my mind quickly changed as soon as they showed me this costume. Ultimately, I was curious to learn the answer to a few questions about this costume. 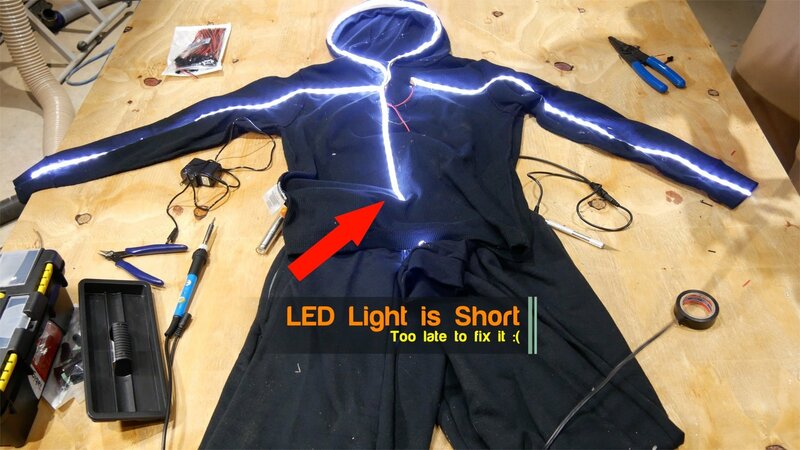 How to power a DIY LED light costume? Where to buy battery operated LED lights for costume? 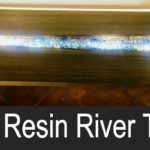 How to solder LED light strips? 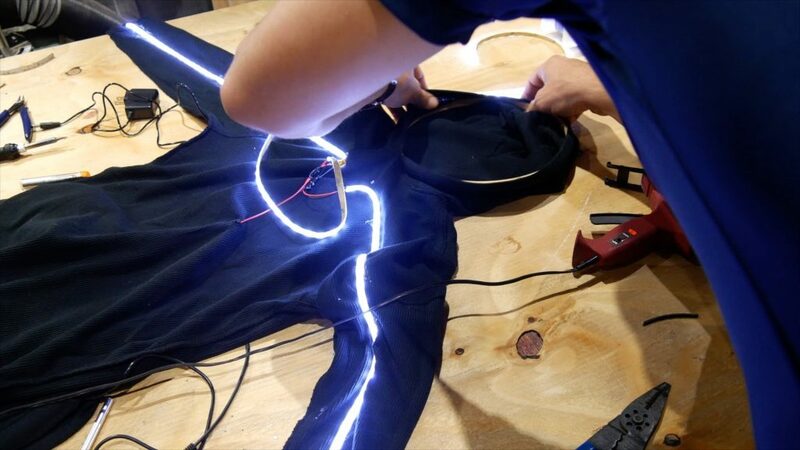 Where and how to attach LED lights to clothes? First, I measured the amount of LED Lights needed for the project. First, I cut the LED light strips according to my measurements in step 1. 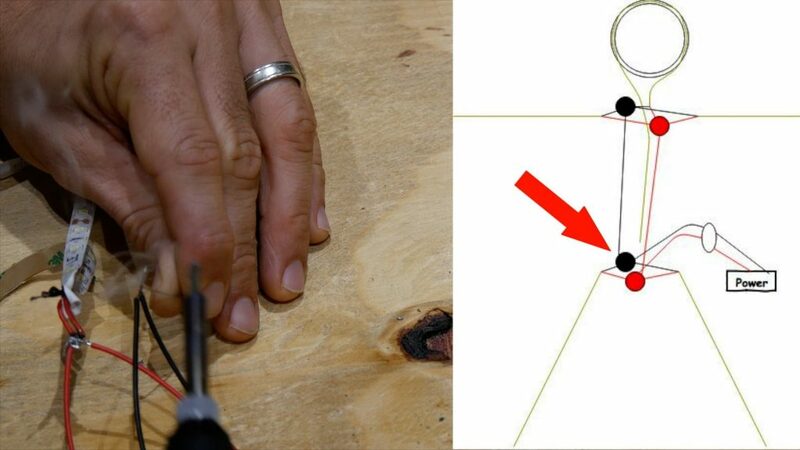 Also, be sure to cut the LED light strip in the correct location. 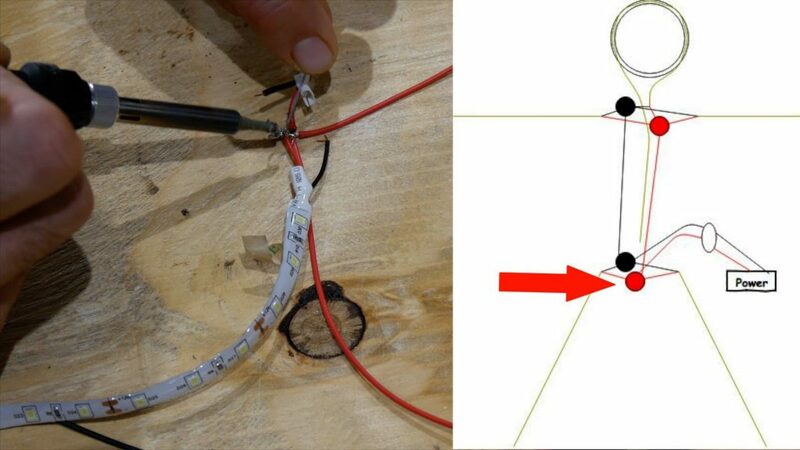 Otherwise, the LED light strip cannot be spliced together. 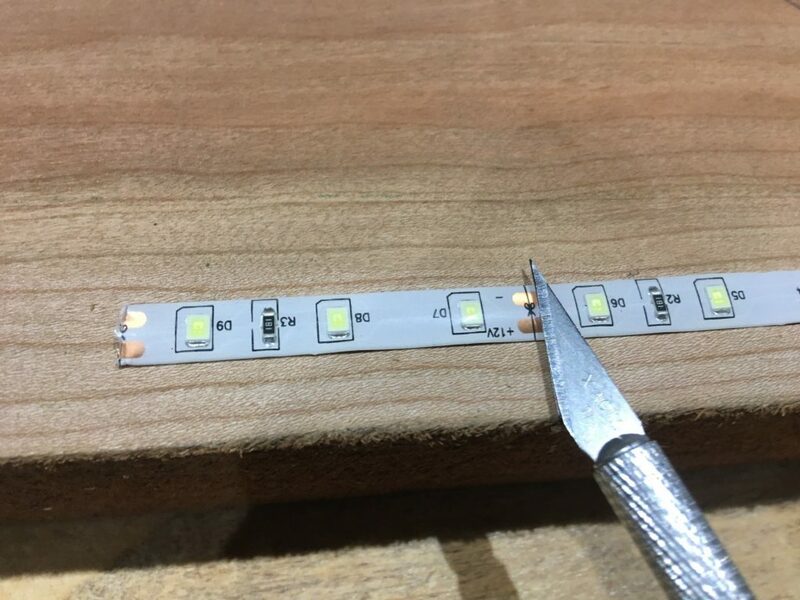 The LED light strip I used clearly indicated where to make the cut. First, I connected the power supply with a male connector adapter. 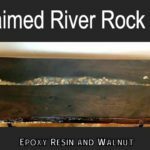 Lets pause for a second to talk about soldering. 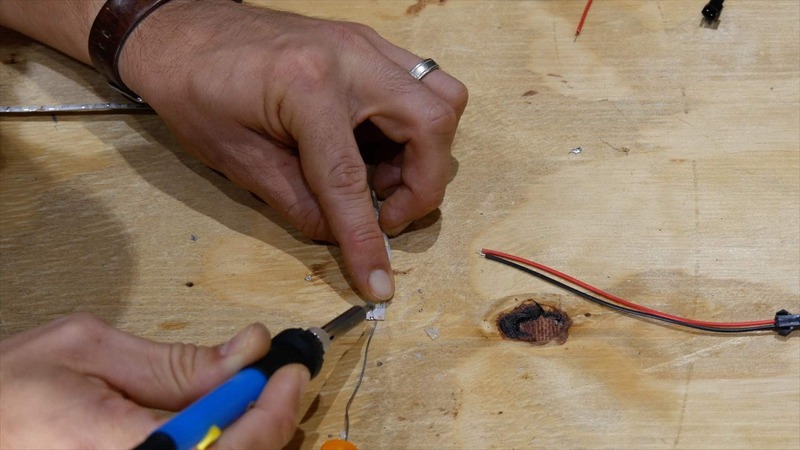 Ultimately, soldering is a skill that people should learn. 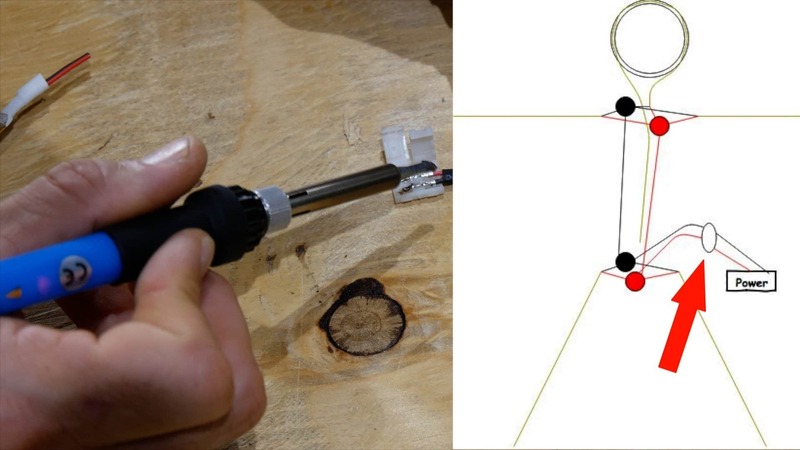 Why should you learn to solder? 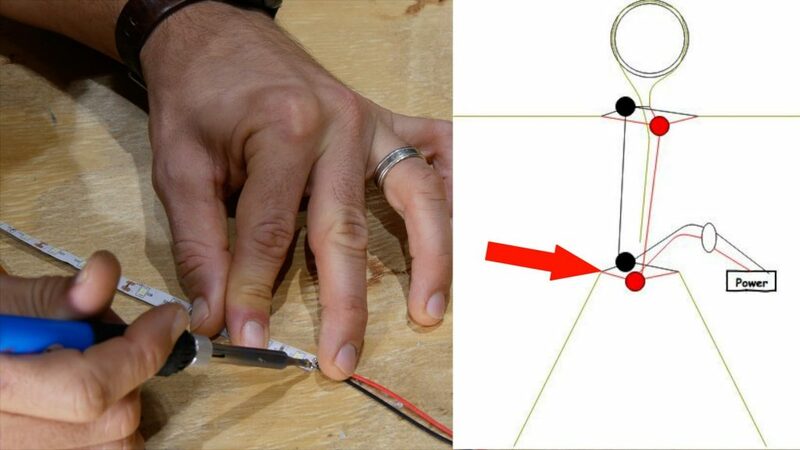 Because it is a useful skill to use to splice LED light strips, fix electronics, and much more. Soldering is the process of using a filler (solder) material to join pieces of metal together at a relatively low temperature (around 400 degrees Fahrenheit). It may look daunting at first glance, but it is really quite simple. This kit has everything you need to get started with basic soldering at an affordable price. 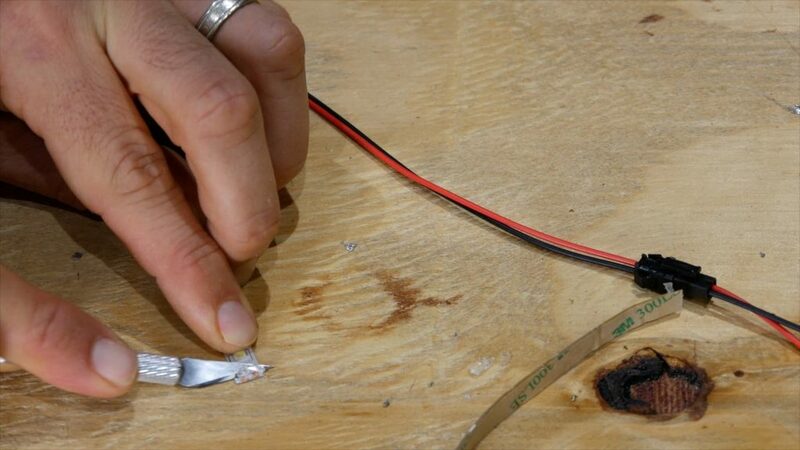 Finally, keep reading to learn basic soldering tips which should be enough to get your started. 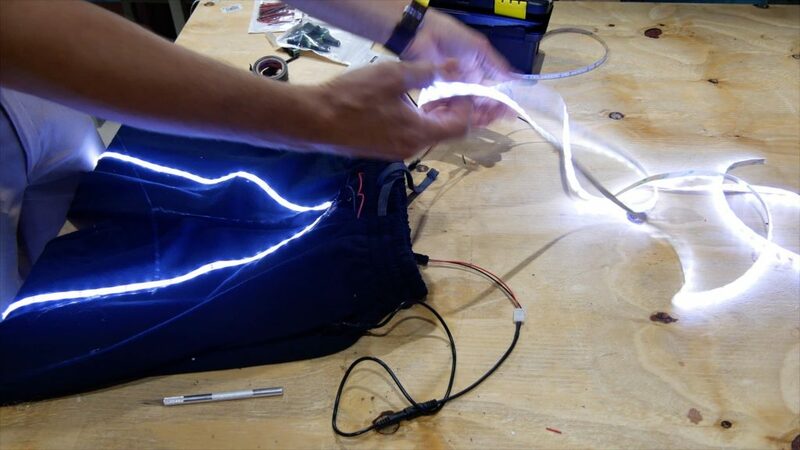 The power supply for the DIY LED light costume is rechargeable and small enough to fit in the pants pocket. In order for the power supply to easily disconnect from the LED lights and provide enough slack to rest in the pants pocket, I soldered a male plug. First, I identified the positive lead (red) and the negative lead (black). Next, I heated my soldering iron and placed it on the connections to get it hot. Then, I placed a tiny bit of solder on both ends of the each connection point (4 in total) as this makes it easier to make the connection. I matched the wires (red to red and black to black), verified the metal was touching, placed the soldering iron and solder on top, and melted them together. When soldering, the wires (top left of picture above) only need to be protruding from the cable jacket about 1/16″ to 1/32″. The white connection cover on the power supply was already in place. First, I stripped the outer silicone coating to expose the 2 connections on the LED Light Strip. Next, I slowly removed the top of the LED light strip at an angle in small amounts in order to not damage the LED light strip. Then, I prepared the wires and LED light strip metal connection points by putting a small amount of solder on each. I soldered the 2 together. In this step, I soldered the bottom connections to merge the leg LED lights, power supply, and a male plug for the top LED lights. Also, there are a lot of connections in this step and can be confusing. To clarify, I listed them below for reference. 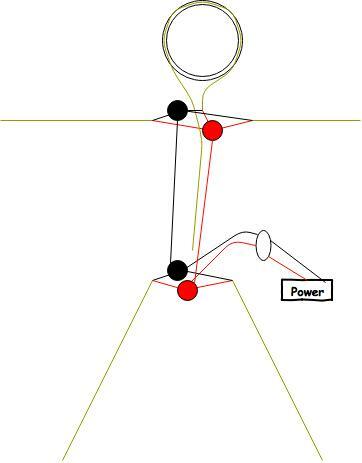 Red Right Leg, Red Left Leg, Red Female Plug for Power Supply, Red Male Plug for Top. Black Right Leg, Black Left Leg, Black Female Plug for Power Supply, Black Male Plug for Top. NOTE: To join the LED Light strips on each leg to the other wires, I used the wires from a male and a female plug. I simply cut the plug off and used the wires. Also, I’m certain there is a ‘cleaner’ method for doing this, but I was in a rush. Halloween was roughly 2 hours away when I started this project. I stripped about 1/4″ of the wire jacket. Next, I twisted the wires together, heated them with my soldering iron, and put solder on them to hold them together. 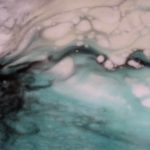 I repeated the process for the negative (black) leads. Then, I used heat shrink wrap to protect the exposed wires. Also, electrical tape can also be used; however, shrink wrap is more permanent. I used 2 wires that were fairly long (roughly 8″) to connect the bottom LED light strips and battery pack to the top. First, I cut a small incision in the top of the pants near the left pocket for the battery wire. Next, I cut a small incision on the opposite side. Then, I ran the wire through the incision, under the shirt, and out an incision I made in the chest area. 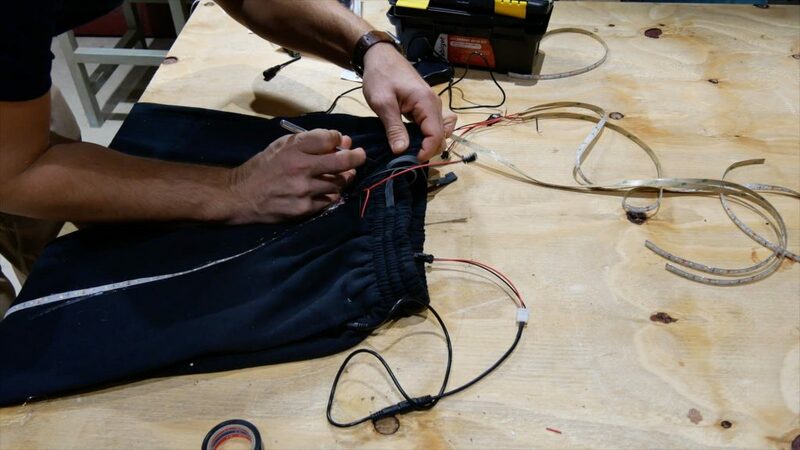 First, I repeated the same process to connect the top wires as I did on the pants in step 5. Then, I connected the top and bottom together with the plugs to ensure it worked properly before proceeding. First, I used the wood embroidery hoop to keep the hood sturdy. Next, I wrapped the edge of the hood around the hoop and used hot glue to secure it. 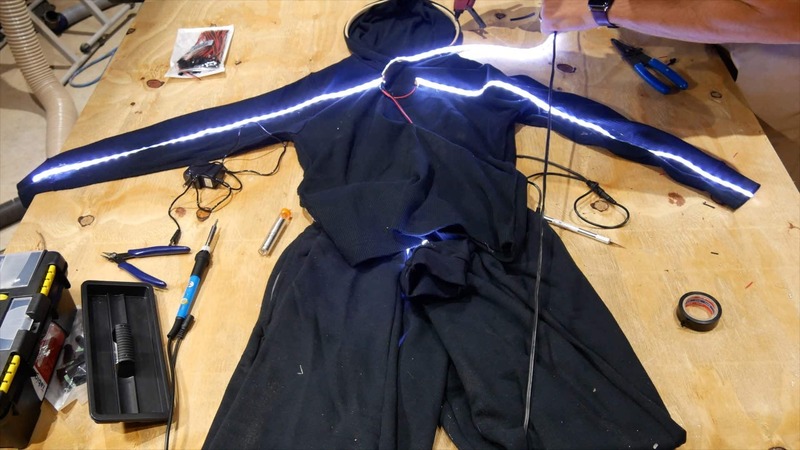 I used hot glue to secure the LED light strip to the pants, shirt, and hood hoop. In order to accomplish this, I simply placed the LED light strips where I wanted them and secured them in place with hot glue. It is important to remember to remove the back adhesive protective paper if the LED light strip has it. After I finished gluing the LED light strips, I realized the strip was a bit short. Roughly 6 inches too short. 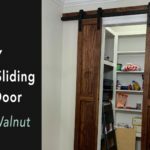 This is the reason I recommended in step 1 to add 6″ to your measurements. 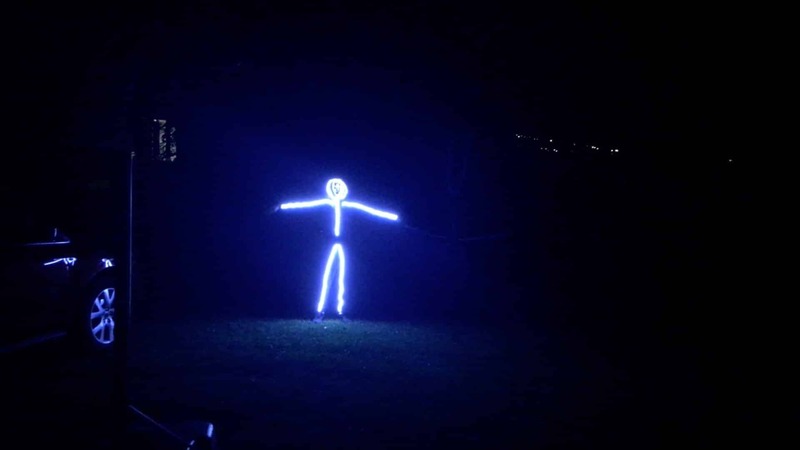 I turned off the lights to see how the DIY LED Light Costume looked in the dark. 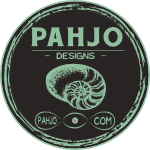 This project was fun to make because it was different and helped me rediscover my soldering skills – or lack thereof. I especially enjoyed watching my son wear something I made for him with pride. 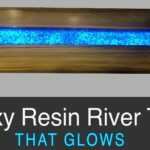 Checkout other similar projects with LED Lights such as my LED River Table and Resin and Wood wall art. Also, I have more DIY kid projects like a Mardi Gras Chair or Minecraft Sword.